There’s no denying that Office 365 now provides a fantastic integrated suite of products. Why should schools and colleges look at moving to Office 365? Can it save time, money and improve student engagement? Let’s take a look in more detail. Why is cloud storage important? One of the big benefits of using Office 365 (in general), is the close integration with Office Online. The days when students had to install Office on a PC or be restricted to an OS or desktop device are long gone. Office 365 brings Word, Excel, PowerPoint, OneNote and Sway to all devices. Office 365 licencing also means that students can download the full version too. Can your students access all the lesson resources, shared drives and personal drives on their mobile and tablet devices at home? Only Google and Microsoft provide realistic solutions. Both are free for schools, but both require some setup and modification to make them suitable for each individual school. Students are far more likely to access resources on mobile or tablet devices. In fact, many will never want to own a laptop or desktop computer. In addition to this, teachers are more reliant on using personal tablets and phones to access resources. The OneDrive for Business app allows students to search and navigate through all the shared resources from their phone and tablet. Remember accidentally losing a file? It would involve a call to the IT department who would then be searching through backups trying to locate the correct file. OneDrive and SharePoint both have a recycle bin, so you can restore documents for 93 days after the original deletion date. If you delete it from the end-user recycle bin, your IT admins can get it back from the site collection recycle bin (within the 93 days). Even after the 93 days, you can call Microsoft who can sometimes help you get older files back. What if someone saves over a document or a mistake is made? Every document has version history by default, so you can easily go back to a previous version of the document. One of the most impressive features of SharePoint to demonstrate is the ability for multiple users to work on the same document at the same time. It could be a lesson plan in a Word Document, a marksheet in excel or a presentation in PowerPoint. These products provide co-authoring in a slick and easy-to-use way. The paragraph, cell or slide will lock and all users will see the editing live (see below). Remember when marksheet spreadsheets were locked for editing when trying to open on the school servers? You don’t have that problem in SharePoint, you can work quicker and more efficiently saving precious time that teachers don’t have enough of. What about homework and electronic assignments? SharePoint is a great document management system but what about assignments and grading work? For homework and assignments, Office 365 has a range of built-in and third-party products to provide assignment functionality. Microsoft Teams is also free for education and comes with some built-in assignment tools. These are great basic assignment tools ideal for keeping track of homework. Teams integrates with SharePoint, so you can access all your class and shared resources. 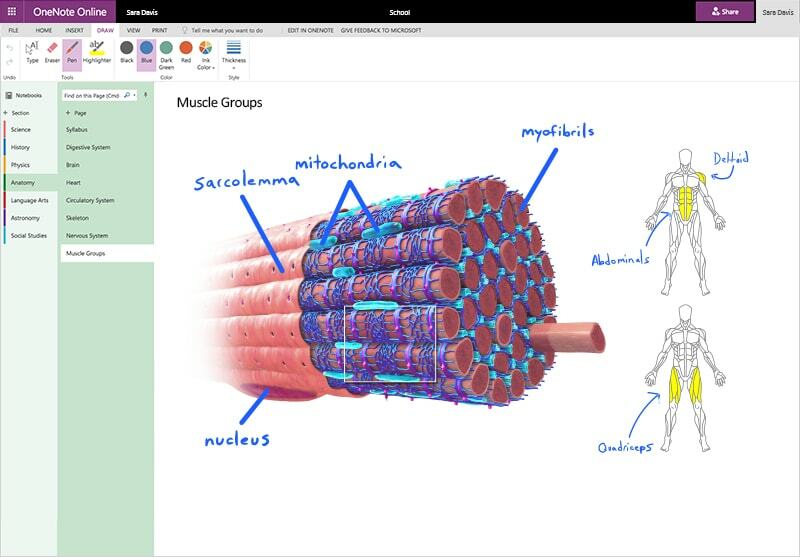 Class Notebook is a powerful learning tool with individual student sections, an immersive reader, and tools to distribute and collect work. If you want some more in-depth assignment tools, third-party products such as teacher dashboard, firefly, show my homework and many more come with Office 365 single sign-on. Store your resources in SharePoint and use any other application for assignments. Please note that not all these third-party products will allow students an easy way to create and submit office documents. At Cloud Design Box, we can help you implement Teams with MIS data, create SharePoint resource areas, apply custom branding, training, support, workflows and much more! Contact us via the website for more details. This entry was posted in Assignments, Class Notebook, Education News, Microsoft Classroom, Microsoft Teams, Microsoft Teams for Education, Modern Experience, Office 365, OneDrive for business, School Data Sync, SharePoint 2013, SharePoint 2016, SharePoint in Education, SharePoint News, SharePoint Online, SharePoint Online Permissions, Tony Phillips, Website News and tagged Assignments, College, Education, firefly, Mobile Access, Office 365, OneDrive, Personal Drives, Primary, Pupils, School, Secondary, Shared Documents, Shared Drives, SharePoint, SharePoint for Education, Show my homework, SLT, Students, Teacher Dashboard, Teachers, Teams, University on October 26, 2017 by Tony Phillips.